i was on the hunt for the perfect summer dresses when i found this white midi dress. this lightweight, white dress is lined with a slip so that it is not too sheer and the blouse-y light-weight fabric make it so comfortable for summer. i posted it originally on Instagram only to find out that it sold out in a flash. this morning i woke up to find that some of the sizes were back in stock! if you are in the search for the perfect summer dress keep stalking this one because your size may just become available. i would regret not mentioning this shoe and bag combo. every time i wear them i get tons of compliments. 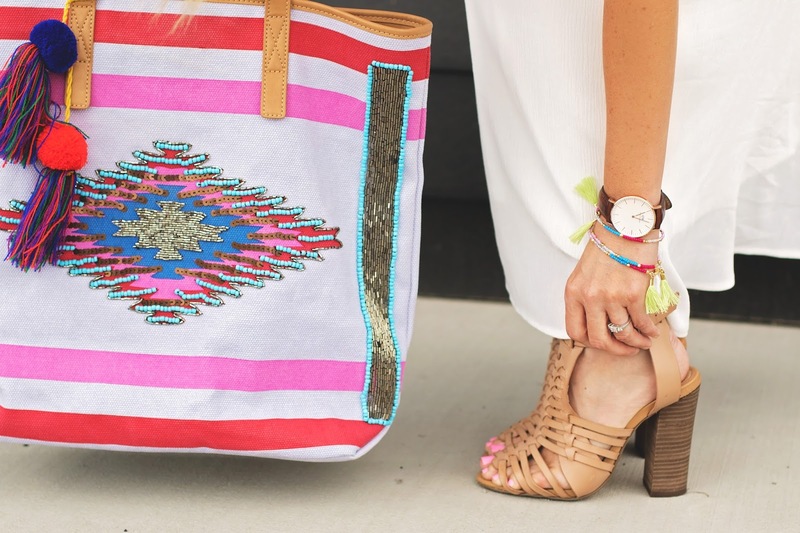 both items are under $100 and great accessories for your summer wardrobe. i posted links to shop all of the items at the end of this post.